We are able to spot unawareness in others easily. We frequently say “He is so unaware. It’s obvious what he needs to do, but he just can’t see the point. If only he were more aware, life would be so easy for him and others.” And though this sort of awareness about our environment and its components -- people, their reactions and emotions, the weather, external events, one’s abundance or lack of assets and relationships are important, what is more crucial is internal or Self-awareness. To be aware, one needs to be conscious or mindful of all things external and internal. The biggest deterrent to awareness is our own mind. We spend a large portion of our lives inside our minds. Give yourself five or ten minutes to observe where you are. Try and see how long you are living in reality. 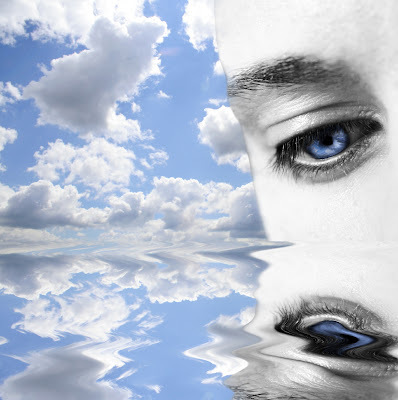 You will soon realise that within a few seconds, you are already gone from your present location into the deep recess of your mind, into memory, into the past or future, into emotions, and into dramas that are being played in the theatre of mind. To become aware is not easy. That is why the Buddha said “If you can watch your breath for 60 minutes, without a moment’s distraction, you are already enlightened”. For most of us, six or 60 seconds seems impossible, what to say of 60 minutes? Awareness begins by sitting quietly in one place and watching one’s thoughts. On an average, it has been said that about 60,000 thoughts arise in the human mind every day. So there is very limited space or time for many things that we need to do. As we watch our thoughts without getting attached to them or getting involved with them, thoughts tend to lose steam and disappear. It is attachment to thoughts that gives them energy to sustain and grow. As we detach ourselves from our thoughts, the number of thoughts that keep coming also become less. And when the number of thoughts gets reduced at the production stage itself, then there is space and time for us to focus on the external and internal environment, and to become aware of those around us, and above all, to become more aware of ourselves. Certainly, all this requires tremendous effort and will. Once we become aware of ourselves, our journey of Self-discovery, for Truth, for God and for bliss starts. Till such time, we are only living in our minds, believing everything the mind tells us, following up on every small and big thought that hits us, arguing, rationalising, justifying, imploring, hoping, wishing, worrying, agonising, celebrating, while life is passing by, in the real world, and we are not connected to it. We are far removed from it. Start with a three or five minute awareness exercise today, and see where it leads you. And see how difficult it is, and see why awareness is such a difficult thing, not because of someone or something outside us, but because of our own selves. 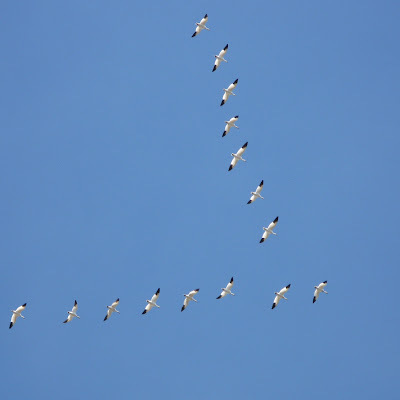 When you see geese flying along in "V" formation, you might consider what science has discovered as to why they fly that way. As each bird flaps its wings, it creates an uplift for the bird immediately following. By flying in "V" formation, the whole flock adds at least 71 percent greater flying range than if each bird flew on its own. When a goose falls out of formation, it suddenly feels the drag and resistance of trying to go it alone - and quickly gets back into formation to take advantage of the lifting power of the bird in front. Finally - and this is important - when a goose gets sick or is wounded by gunshot, and falls out of formation, two other geese fall out with that goose and follow it down to lend help and protection. They stay with the fallen goose until it is able to fly or until it dies, and only then do they launch out on their own, or with another formation to catch up with their group. When you exist here as body or mind, your suffering is inevitable. Your body and mind are always subject to the forces of duality, so circumstantial aspects will rule. As long as this is so, you being happy or unhappy, peaceful or not, is not in your control – the way you are right now depends on the situations you are in. Meditation means to transcend limitations of physical body and mind so that you exist in a state where body and mind are not deciding the quality of who you are. During meditation you are in touch with the source, the basis of your body and mind. The basis of all creation is what you are referring to as God. Body and mind are something that you gathered from outside. They are not the basis of life, they are only the surface. The physical reality of existence is only the peel of the fruit. Only as a protective layer for the fruit, the peel has some value; not by itself. You have to feed your body, clothe it, decorate it, and pamper it in so many ways. This seems very important right now. But if that something which is the basis of your body and mind, that which you have never experienced so far, leaves this body, nobody is interested in this body anymore. The fruit is gone. Nobody is interested in the peel alone. Only because the fruit is inside, we value the peel. But right now, you have gotten so deeply involved with the peel that you have forgotten about the fruit. 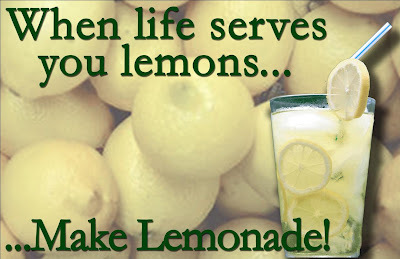 If you are eating the peel of life, how can life be? It has to be bitter. But the problem with the peel is, it has spots of sweetness in it. Right now, your whole life is about searching for these spots of sweetness. These spots of sweetness have come only because of the fruit. If you transcend the peel, if you go beyond the peel and taste the fruit, your life will become completely different. Physical existence is just the peel of life. Right now, your whole experience of life is limited to the physical existence because you experience life only through your five senses. Sense organs can only experience that which is physical. They cannot experience anything beyond that. If you want to experience something beyond the physical existence, you need to go beyond the five senses. Right now, you can only talk about God; you cannot experience God. But if you can experience the fruit beyond the peel and access that which is the source of creation, there is a possibility for you to live every moment of your life in the company of the Divine – an intelligence and competence that will make your life magical and blissful. If you do not utilise this possibility, why exist here as a human being? If we have just come here to eat, sleep, reproduce and die one day, we don’t need this kind of intelligence; we don’t need this kind of body. Once you have come here as a human being, you have come with the capability of knowing and experiencing life beyond the physical dimension. That is what meditation means – to know life beyond the limitations of the five senses; to know life beyond the sphere of that which is physical; to know and experience life at the source, not the surface. To live, and to live totally.